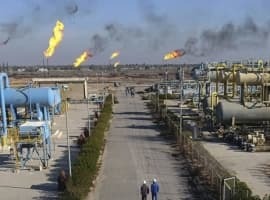 Iraq is set to bring long disrupted oil back online, adding fresh barrels to a market already weighed down by ample supplies across the globe. A little over a year ago, Kurdistan held a referendum on independence from Iraq, which passed with overwhelming support. The vote was non-binding, but was meant to lay down a marker and increase leverage in negotiations with Baghdad over the region’s eventual independence. The gambit backfired, however, as the Iraqi government sent in troops to seize parts of Kirkuk and its surrounding oil fields. The events led to the disruption of the Kirkuk oil fields, temporarily knocking some 400,000 bpd offline. The seizure of the Kirkuk oil fields also put an end to Kurdistan’s bid for independence. But, the issue over who controls the oil fields and how it should be exported has been bogged down since last year. Kurdistan controls the only functional pipeline out of the country, which runs north to Turkey. Last week, Baghdad and Erbil reached an agreement to allow more oil to flow. The tentative agreement has reportedly led to the resumption of 50,000 to 100,000 bpd. Last year, the Kirkuk fields exported 300,000 bpd, according to Reuters, and at this point, it is not clear if more increases are in the offing. There are still major issues that need to be resolved, including the longstanding fight over whether or not Kurdistan should receive oil revenues directly or via budgetary transfers from Baghdad. That effort succeeded – Saudi Arabia boosted production by 600,000 bpd in October compared to May levels, when Iran sanctions were announced. To be sure, however, Saudi Arabia is reportedly upset about the degree to which the Trump administration offered waivers, feeling “duped” after they agreed to increase output. The U.S. also scoured other parts of the Middle East for extra barrels. 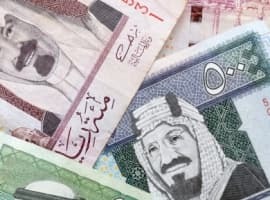 Earlier this month, the Wall Street Journal reported that American diplomats were urging Saudi Arabia and Kuwait to resolve their territorial disputes over the Neutral Zone oil fields. The fields have been offline for several years and have a capacity of around 500,000 bpd. The logic was obvious – if the Saudis and Kuwaitis could overcome their outstanding differences, half a million barrels per day could flow from those fields, essentially allowing the U.S. to step up the pressure campaign on Iran. If that had worked, the U.S. would not have needed to grant waivers to so many countries importing Iranian oil. That effort failed after Saudi-Kuwaiti talks broke down. Despite the new oil from Kirkuk, it may not matter much at the global level. “The resumption of Kirkuk shipments of between 50,000 and 100,000 barrels per day will not add to Iraq’s total exports,” a spokesman for Iraq’s oil minister told Reuters. Instead, the oil might be consumed domestically in under-utilized refineries. 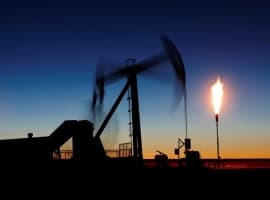 Oil prices barely budged, and in fact, Reuters noted that Brent rose $1 per barrel after the news broke, perhaps because the market had already factored in higher oil flows than the 50,000 to 100,000 bpd. More oil could be forthcoming, but for now, the diplomatic breakthrough will be a relatively minor affair for the global oil market.